This article was originally published on the ASPA National Weblog. 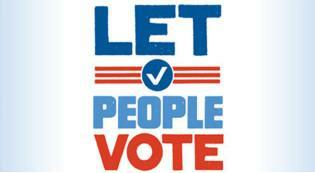 Thirty states are now requiring voter IDs in order for people to vote. Estimates show that as many as 21 million citizens do not have a government issued photo ID and are subject to being found ineligible to exercise this fundamental right. According to the U.S. Census, there are 207 million citizens in this country. The result of these new voter ID laws will be that over 10 percent of all citizens are at risk of being blocked from voting today. This is clearly a matter of security for our homeland. If ISIS, al-Qaida or any external power interfered with our democratic process and were able to keep 1 in 10 Americans from going to the polls, we would take swift and decisive action. This issue affects not just local or state election outcomes, but also our federal elections and the management of our government through state redistricting. The federal government should and must step in. The Department of Justice, in conjunction with the Department of Homeland Security, can and should immediately send out mobile units to register any eligible citizens to vote and issue federal voter ID cards to U.S. citizens who need them. As President Carter said, a free and fair election requires both ballot security and the fullest access to voting. These efforts could begin in those states that have expressed the greatest interest in ballot security and enacted specific voter identification requirements. Federal voter ID cards would not take the place of other government issued identification, such as driver’s licenses and passports. However, they would fill the gap for those citizens who otherwise lack access to such government identification. Anyone convicted of fraudulently trying to obtain such a card, including those trying to discredit or test or game the process, would be guilty of a felony. Ballot security is important, but no more or less so than ballot access. We must work to see that both are present for all Americans. Those who would seek to block voter security or voter access are working not for America interests, but against them. It is hard to imagine who would support a speaker arguing that America should be blocked from developing, adapting and adopting the latest upgrades and improvements to military technology, from whatever their source. We must lead the world in this regard. Thus should we support those who would block us from developing, adapting and adopting the latest processes and technologies that upgrade and improve our citizens’ rights and their access to vote? Read the rest over at the ASPA National Weblog. Plenty of red herrings and fallacious arguments in there. Ballot security is certainly more of a risk to sovereignty and national security than ballot access, what with more than 12 million illegal aliens in the nation. The estimates of 21 million eligible voters lacking sufficient identification to satisfy voter ID requirements are profoundly questionable, and are used by those opposing voter ID laws to inflame the sentiments of those that prefer access over security. By calling for a Federal deployment of resources to address the issue, opponents of voter ID hope the sticker shock will induce proponents to drop their call for ID requirements in order to vote. The author is correct that a balance needs to be struck between access and security, but he is profoundly incorrect that access outweighs security. Those he would afford the opportunity to register and get a federal ID card have the same access to get a state ID card, and would avail themselves of the federal card at the same rate they are currently pursuing state ID cards. Red herring and hysteria: two hallmarks of passionate advocacy for an issue where the arguments lack evidential support and rely instead upon emotional appeals.